DAVIS--Groundbreaking neuropathic pain research emanating from the Bruce Hammock lab at the University of California, Davis, has made Discover magazine's Top 100 Science Stories of 2015 and ranks among the Top 15 in the Medicine/Genetics category. .
Hammock, a distinguished professor who holds a joint appointment with the UC Davis Department of Entomology and Nematology and the UC Davis Comprehensive Cancer Center, just received a copy of the magazine listing the research as No. 76. The space exploration of Pluto made No. 1. 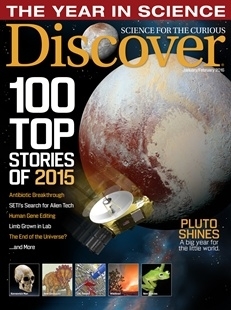 The top stories encompassed space exploration, medicine, technology, paleontology and the environment. Lead researchers Bora Inceoglu of the Hammock lab UC Davis Department of Entomology and Nematology/UC Davis Comprehensive Cancer Center, and Ahmed Bettaieb, then of the Fawaz Haj lab, Department of Nutrition, pinpointed the key mechanism that causes neuropathic pain--a complex, chronic and difficult-to-treat pain caused by nerve injuries from trauma or from such diseases as diabetes, shingles, multiple sclerosis and stroke. They found that a biological process, termed endoplasmic reticulum stress or ER stress, is the significant driver of neuropathic pain. The research is expected to ignite the discovery of a new generation of therapeutics, paving the way for more efficient and effective ways to alleviate neuropathic pain. 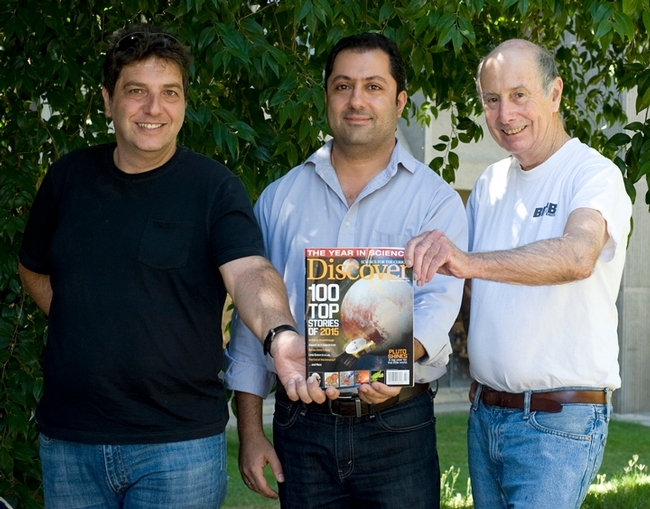 Discover magazine headlined its story on the UC Davis research: “A Key Piece of the Pain Puzzle Is Solved.” Writer Heather Stringer quoted Hammock as saying: “Medications have historically focused on turning down the nerve response to pain, but now we've found one way to block the stress signal that generates the pain. “Most of us probably take for granted that physical pain—whether it be from a sports injury, a kidney stone or appendicitis—can be attributed to some form of inflammation and that it will end,” Stringer wrote. Hammock, a member of the National Academy of Sciences and a fellow of the National Academy of Inventors, discovered a human enzyme termed sEH which regulates a new class of natural chemical mediators. He and his lab then developed inhibitors of the sEH enzyme which degrades natural mediators reducing hypertension, inflammation and pain. The UC Davis research was earlier recommended for F1000 (Faculty 1000), a continually updated collection of more than 145,000 recommendations of top articles in biology and medicine. The research is the work of a six-member research team: Inceoglu, Bettaieb, Haj, and Hammock, as well as K.S. Lee and Carlos Trindade da Silva, both of the Department of Entomology and Nematology and UC Davis Comprehensive Cancer Center. DAVIS--Groundbreaking research on the discovery of the mechanism that causes neuropathic pain—work co-authored by UC Davis researchers and led by the Bruce Hammock lab at the UC Davis Department of Entomology and Nematology--has been recommended as a F1000 Prime, signifying that it's among the top published research studies worldwide. F1000 Faculty member John Imig of the Medical College of Wisconsin, Milwaukee, recommended the research, “Endoplasmic Reticulum Stress in the Peripheral Nervous System Is a Significant Driver of Neuropathic Pain," published July 6 in the Proceedings of the National Academy of Sciences. F1000 is a continually updated collection of more than 145,000 recommendations of top articles in biology and medicine. F1000, updated daily by the F1000 Faculty, covers more than 3700 peer-reviewed journals. In the groundbreaking research estimated to affect millions of patients globally, the UC Davis scientists found that a biological process, termed ER stress, is the significant driver of neuropathic pain. Lead researchers Bora Inceoglu of the Hammock lab UC Davis Department of Entomology and Nematology/UC Davis Comprehensive Cancer Center, and Ahmed Bettaieb of the Fawaz Haj lab, Department of Nutrition, pinpointed the key mechanism that causes neuropathic pain--a complex, chronic and difficult-to-treat pain caused by nerve injuries from trauma or from such diseases as diabetes, shingles, multiple sclerosis and stroke. The research should ignite the discovery of a new generation of therapeutics, paving the way for more efficient and effective ways to alleviate neuropathic pain, the researchers said. 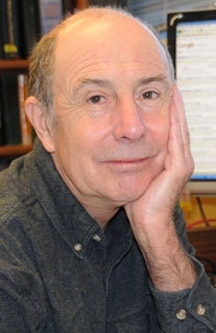 “This is a fundamental discovery that opens new ways to control chronic pain,” said corresponding author and senior researcher Hammock, a distinguished professor of entomology who holds a joint appointment with the UC Davis Department of Entomology and Nematology, and the UC Davis Comprehensive Cancer Center. In the study, “Ahmed demonstrated key molecular signatures associated with diabetes and diabetic pain indicative of ER stress,” said Fawaz Haj, a senior author and corresponding author. The Haj laboratory studies the molecular basis of metabolic diseases, mainly obesity and type 2 diabetes. Inceoglu showed that neuropathic pain could be initiated by diverse compounds that cause ER stress and reversed by agents that block it. Holly Caster, editor of PAINWeek, interviewed Hammock July 10 and published a Q&A in a piece titled "Pain Reporter: The Professor and the Science Behind the Potential Management of Neuropathic Pain." Hammock pointed out that his research "started as very fundamental research in developmental biology using insects as models. We found that the soluble epoxide hydrolase is highly conserved in evolution and asked its role in man and other mammals. We first found that inhibitors of the enzyme stabilize natural anti hypertensive compounds called EETs and reduced blood pressure. We then found that they reduced inflammation and inflammatory pain. We tried neuropathic pain as an indication because it is so difficult to treat and were surprised to find that the sEH inhibitor worked far better than drugs like gabapentin and Lyrica currently sold for neuropathic pain. I have attached a comparison. Having failed to interest large pharma companies in this biology we started a small company EicOsis to move the inhibitors to the clinic for treating pain in both companion animals and man. The research, Hammock noted, was initially done on rodents. "The fact that the compounds work in a variety of species builds confidence. It argues that with regard to neuropathic pain, different species are similar (dog, horse, man, rat, etc. )," he told her. DAVIS--In ground-breaking research estimated to affect millions of patients globally, scientists at the University of California, Davis have pinpointed a key mechanism that causes neuropathic pain--a complex, chronic and difficult-to-treat pain caused by nerve injuries from trauma or from such diseases as diabetes, shingles, multiple sclerosis and stroke. 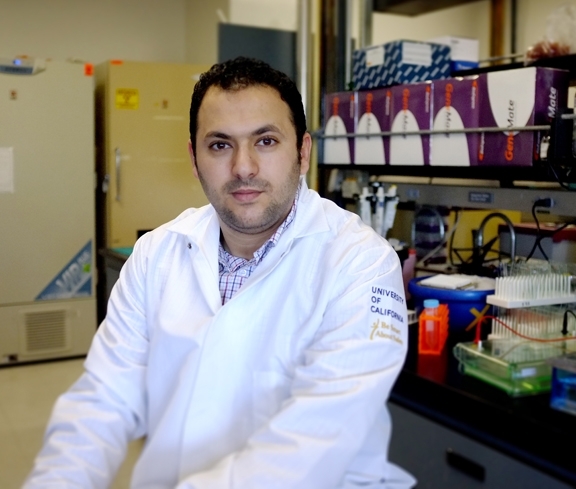 A biological process, termed endoplasmic reticulum stress or ER stress, is the significant driver of neuropathic pain, said lead researchers Bora Inceoglu of the Bruce Hammock lab, UC Davis Department of Entomology and Nematology/UC Davis Comprehensive Cancer Center, and Ahmed Bettaieb of the Fawaz Haj lab, Department of Nutrition. The ground-breaking discovery, published July 6 in the Proceedings of the National Academy of Sciences, “should ignite the discovery of a new generation of therapeutics,” paving the way for more efficient and effective ways to alleviate neuropathic pain, the researchers said. "We were trying to understand how a class of natural bioactive lipids in our body can have such powerful analgesic effects,” said Inceoglu. “Our previous collaboration with Drs. Haj and Bettaieb had already established that blocking the degradation of these natural molecules is strongly analgesic (reduces pain) in diabetic animals without any of the side effects of known drugs. Expanding on these observations, in diabetic rodents, we looked at nerves and in particular those that are away from the skin, deeply embedded in the body. ER stress was obvious in these areas such as the sciatic nerve trunk and the spinal cord. Once we realized that ER stress had taken over the nervous system, we asked if it had any immediate consequences that can be measured." Said Inceoglu: "It was an exciting moment when we could block pain in diabetic rodents using known inhibitors of ER stress. Later inducing ER stress in healthy rodents resulted in neuropathic pain-like behaviors which could be eliminated with ER stress blockers, but not so well with known drugs that are prescribed to patients suffering from neuropathic pain, with or without diabetes." 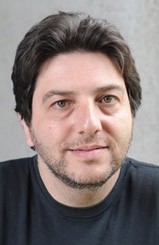 "Unfortunately, neuropathic pain remains an unmet medical need and available drugs are either not so effective or have serious side effects that limit their use in many patients,” Inceoglu said. “The bottom line is that we do not fully understand neuropathic pain and our work sheds new light onto one out of many diverse biological processes that mediate neuropathic pain. With this knowledge, one can test if ER stress blocking drugs can control pain in the clinic, and in parallel, ask fundamental questions in the lab, such as how multiple types of pain grouped under the name ‘neuropathic' differ from each other and respond to new ER stress blockers." John Imig, professor of pharmacology and toxicology at the Medical College of Wisconsin, Milwaukee, who was not involved in the study, said: “This scientific study provides convincing evidence for a novel concept as to what causes neuropathic pain. Cellular endoplasmic reticulum stress, ER stress, has been implicated in diabetes and findings in this scientific study now implicate ER stress in neuropathic pain." In earlier work, the UC Davis team showed that by stabilizing analgesic and anti-inflammatory natural molecules in the body, they could block ER stress and improve a variety of disease states. In this report, the researchers blocked ER stress using a powerful transition state inhibitor of the soluble epoxide hydrolase enzyme made by co-author/researcher Kin Sing Stephen Lee of the UC Davis Department of Entomology and Nematology/UC Davis Comprehensive Cancer Center. “The compound reduces dramatically the pain associated with diabetic neuropathy and illustrates that one can reduce neuropathic pain by increasing natural chemical mediators already in the body,” said Hammock. He and his laboratory discovered and study potent enzyme inhibitors that dramatically reduce inflammation, inflammatory pain and neuropathic pain. The research “Endoplasmic Reticulum Stress in the Peripheral Nervous System Is a Significant Driver of Neuropathic Pain,” is the work of a six-member research team: Inceoglu, Bettaieb, Lee, Haj, Hammock and Carlos Trindade da Silva of the Department of Entomology and Nematology/UC Davis Comprehensive Cancer Center. “Next we identify the EpFAs as upstream modulation of ER stress pathways. Chemical inducers of ER stress invariable lead to pain behavior that is reversed by a chemical chaperone and an inhibitor of sEH. The rapid occurrence of pain behavior with inducers, equally rapid reversed by blockers and natural incidence of ER stress in diabetic peripheral nervous system (PNS) argue for a major role of the ER stress pathways in regulating the excitability of the nociceptive system. Understanding the role of ER stress in generation and maintenance of pain opens routes to exploit this system for therapeutic purposes. The research was supported in part by a National Institute of Environmental Health Sciences (NIEHS) grant and a NIEHS Superfund Basic Research Program grant, awarded to principal investigator Bruce Hammock; and National Institutes of Health (NIH) grants awarded to Fawaz Haj. In addition, Hammock, Inceoglu and Bettaieb received grants from NIH and/or the National Institute of Arthritis and Musculoskeletal and Skin Disease. Ahmed Bettaieb of the Fawaz Haj lab. DAVIS--U.S. Army neurosurgeon Jonathan Newmark, one of the nation’s experts on chemical casualties on the battlefield, will speak on “Sarin on the Battlefield: Chronic Neurotoxicity, Post-Traumatic Stress Disorder (PTSD) or Malingering” at a seminar from 3 to 4 p.m. Monday, Oct. 7 in Room 1105 of the Veterinary Medicine Research Facility 3B. Newmark, a colonel in the U.S. Army Medical Corps, will be hosted by researcher Bora Inceoglu of the Bruce Hammock lab, UC Davis Department of Entomology and Nematology. The lecture is part of the UC Davis CounterACT Center Seminars for Excellence, Pharmacology Training Grant and Department of Pharmacology (website and list of speakers pending). "Sarin, or GB, is an organophosphorus compound with the formula [(CH3)2CHO]CH3P(O)F. It is a colorless, odorless liquid, used as a chemical weapon owing to its extreme potency as a nerve agent. It has been classified as a weapon of mass destruction in UN Resolution 687. Production and stockpiling of sarin was outlawed by the Chemical Weapons Convention of 1993, and it is classified as a Schedule 1 substance." "Sarin can be lethal even at very low concentrations, with death following within one minute after direct ingestion due to suffocation from lung muscle paralysis, unless some antidotes, typically atropine or Biperiden and pralidoxime, are quickly administered to a person.People who absorb a non-lethal dose, but do not receive immediate medical treatment, may suffer permanent neurological damage." 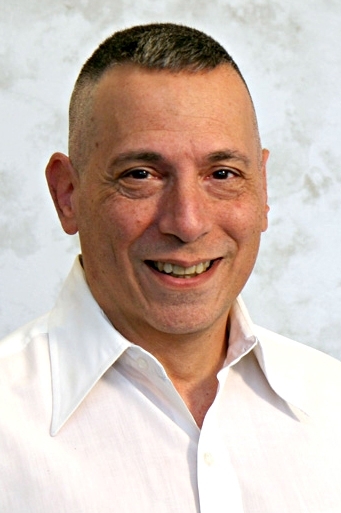 Newmark received his bachelor’s degree from Harvard College and his medical degree from the College of Physicians and Surgeons of Columbia University. He completed a residency in neurology at the Boston City Hospital and fellowships in neurochemistry at the National Institute of Neurological Disorders and Stroke; in occupational neurology at the Massachusetts General Hospital; and in neuromuscular disease at the University of Pennsylvania. More information is available from host Bora Inceoglu at abinceoglu@ucdavis.edu or by telephoning (530) 591-0697. DAVIS—Researchers from multiple institutions, including the University of California, Davis and Harvard Medical School, have discovered a novel and natural means that could increase the success of human liver transplants and speed the recovery of both the patient and the donor. The study is especially significant because of the desperate shortage of livers among thousands of very ill patients, said lead researcher Dipak Panigrahy of Harvard Medical School, in work published online in the July 29th edition of Proceedings of the National Academy of Sciences (PNAS). The researchers found that a natural substance in blood vessels stimulates organ and tissue regeneration. The 28-member team discovered that “systemic administration of EETs significantly increased liver and lung regeneration by 23 percent to 46 percent when compared to control mice post partial liver resection,” Panigrahy said. “This can be very useful in transplant both for the donor and the recipient in getting full function back with liver transplant,” said researcher and co-author Bruce Hammock, a distinguished professor of entomology with a joint appointment at the UC Davis Comprehensive Cancer Center. 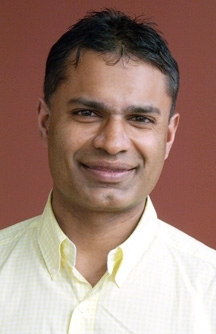 “We are planning to evaluate EETs and soluble epoxide hydrolase (sEH) inhibitors in humans who need tissue regeneration such as organ regeneration and wound healing,” Panigraphy said. “We are working to evaluate soluble epoxide hydrolase inhibitors in humans by surgeons.” The surgeons include Mark Puder, Boston Children’s Hospital, lung regeneration; and Roger Jenkins of the Lahey Clinic, Boston, who performed New England's first successful liver transplant in July 1983. In addition, they plan to work with other clinicians for testing EETs in stimulating wound healing in diabetic and nondiabetic patients. Other key members of the team are Mark Kieran, Dana-Farber Cancer Institute, Boston; Mark Puder of the Boston Children's Hospital; and Darryl C. Zeldin of the National Institute of Health’s National Institute of Environmental Sciences (NIH-NIEHS). The research, titled “Epoxyeicosanoids Promote Organ and Tissue Regeneration” and accomplished with animal models, showed acceleration of liver regeneration, kidney compensatory growth, lung compensatory growth, wound healing, corneal neovascularization, and retinal vascularization. Vascularization deals with blood vessel formation in abnormal tissue or in abnormal positions. “We are working on this fatal disease of newborns termed diaphramic hernia,” added Panigrahy. “So far this is all in experimental animals but we are planning to test if increasing EETs can be successful in encouraging poorly developed lungs of newborns to grow." In their abstract, they wrote: “…we hypothesize that endothelial cells stimulate organ and tissue regeneration via production of bioactive EETs. To determine whether endothelial-derived EETs affect physiologic tissue growth in vivo, we used genetic and pharmacological tools to manipulate endogenous EET levels. We show that endothelial-derived EETs play a critical role in accelerating tissue growth in vivo, including liver regeneration, kidney compensatory growth, lung compensatory growth, wound healing, corneal neovascularization, and retinal vascularization. Administration of synthetic EETs recapitulated these results, whereas lowering EET levels, either genetically or pharmacologically, delayed tissue regeneration, demonstrating that pharmacological modulation of EETs can affect normal organ and tissue growth. We also show that soluble epoxide hydrolase inhibitors, which elevate endogenous EET levels, promote liver and lung regeneration. Thus, our observations indicate a central role for EETs in organ and tissue regeneration and their contribution to tissue homeostasis. Among the co-researchers are Jun Yang and Bora Inceoglu of the Hammock lab. “We are very excited about these findings,” Inceoglu said. “Traditionally wound repair and healing is an area where we clearly lack efficacious drugs. This work demonstrates that there are natural processes one can augment and promote to accelerate wound healing. This is a hopeful moment for many patients suffering from serious conditions that can be helped with these new drugs." 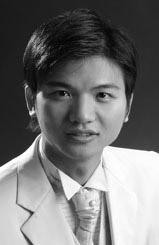 Said Yang: “The finding here implies the modulation of EETs in vivo might help wound healing especially for the organ transplant patients. In the study, the result based on liver transplant patients supports this argument, which is very exciting and provides the basis for the translation to the clinic." 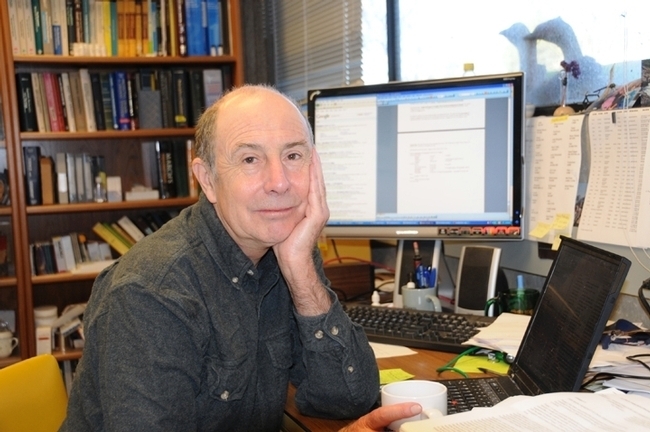 Hammock, who directs the NIEHS Superfund Research Program on the UC Davis campus, received financial support from Superfund Program and from NIH grants. He also receives financial backing as a George and Judy Marcus Senior Fellow of the American Asthma Foundation. Other funding sources supporting the 28-member team were the National Cancer Institute Grant, the Stop and Shop Pediatric Brain Tumor Fund, the C. J. Buckley Pediatric Brain Tumor Fund, the Joshua Ryan Rappaport Fellowship, the Children’s Hospital Boston Surgical Foundation and the Vascular Biology Program, a Howard Hughes Medical Institute Research Fellowship, and the Intramural Research Program of NIH.